San Diego, CA – May 3, 2016 – HCAP Partners (formerly Huntington Capital), a California-based mezzanine debt and private equity firm, is pleased to announce the successful exit of its mezzanine loan funding to EPIS, Inc., a power market forecasting software company. The financing was used to help the current shareholders diversify their holdings and recapitalize the stock in support of new employee ownership. EPIS is a pioneer in software development for the wholesale-electric power industry. The company’s software provides a unique combination of analytical power, versatility, and speed, making it an indispensable risk analysis tool. The software enables customers to accurately measure value at risk and examine uncertainties around demand, fuel prices, transmission constraints, hydro conditions and other variables. HCAP Partners invested $4.5 million into EPIS via a mezzanine loan as part of a recapitalization of shareholder stock in 2014 and 2015. The investment helped support new employee ownership while providing diversification to the original founders of the firm. HCAP Partners’ mezzanine debt was repaid earlier this year. Frank Mora, Principal, and Nicolas Lopez, Senior Associate, led the deal for the firm. EPIS, Inc. is the developer of the AURORAxmp Electric Market Model, the proven leading-edge software package with ready-to-use data for all the reliability regions in North America to forecast wholesale electricity market prices. Leading energy providers, power-marketing companies, energy consultants, and utilities use AURORAxmp to model wholesale electricity prices and perform short, medium, and long-term studies. Since its introduction in 1997, AURORAxmp has become the industry’s premier model for reliable electric-market price forecasting, resource valuation and market-risk analysis. For more information, please visit the company website at www.epis.com. 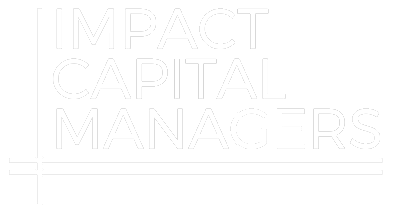 HCAP Partners (formerly Huntington Capital) was founded in 2000 and is a provider of mezzanine debt and private equity for underserved, lower-middle market companies throughout California and the Western United States. HCAP Partners invests $2 million to $9 million in established businesses in the healthcare, technology, services, and manufacturing industries generating between $10 million and $75 million in revenues. The firm has invested in over 50 companies since it was founded and proactively works with its portfolio companies to achieve favorable financial outcomes and measurable impact value creation. Partners Tim Bubnack, Morgan Miller, Frank Mora, and Hope Mago lead HCAP Partners’ management team. For more information, please visit www.hcapllc.com or call (858) 259-7654.